Can you believe that Benedictines can do anything in addition to prayer, and more prayer? Well, I hope so. 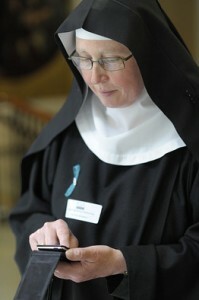 Benedictines and nuns to boot, have given the world lots of innovative things that continue to use today. For example, writing, singing different forms of music, social communications, different forms of alcohol, etc. The Benedictines are always interesting people, whether in the 9th century, 18th century or the 21st century. Sister Catherine Wybourne, OSB, and the nuns of Holy Trinity Monastery (Howton Grove, Herefordshire, UK). Sister Catherine is the prioress of the Benedictine nuns at this small monastery with competencies in the secular world and in the world of God and the Church. Sister Catherine and the nuns of Holy Trinity Monastery engage us on level of faith formation, the Benedictine Charism and social communications. Her disposability for the sake of Christ’s Gospel and His Church. Listen to Laura Lynch’s interview of Sister Catherine. You won’t be disappointed. In recent days several dioceses and religious orders have ordained men to the priesthood. The priest is to “understand … imitate … and conform” his life to the Cross of Jesus. The bishop exhorts the man to be ordained to see that he believes what he reads, that he teaches what he believes and practices what he teaches. Saint John Mary Vianney, pray us. Earlier today in Rome Pope Francis ordained 10 men to the priesthood of Jesus Christ. He showed up early to the sacristy to spend time in prayer with each of the men to be ordained. For bishops, ordinations are their way of being generative; the newly ordained are often referred to as spiritual sons of the bishop. The Pope ordained pastors, not functionaries; he ordained shepherds of souls, not church babysitters. Below is his homily. It is true that God has made his entire holy people a royal priesthood in Christ. 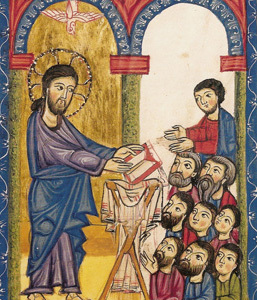 Nevertheless, our great Priest himself, Jesus Christ, chose certain disciples to carry out publicly in his name, and on behalf of mankind, a priestly office in the Church. For Christ was sent by the Father and he in turn sent the Apostles into the world, so that through them and their successors, the Bishops, he might continue to exercise his office of Teacher, Priest, and Shepherd. 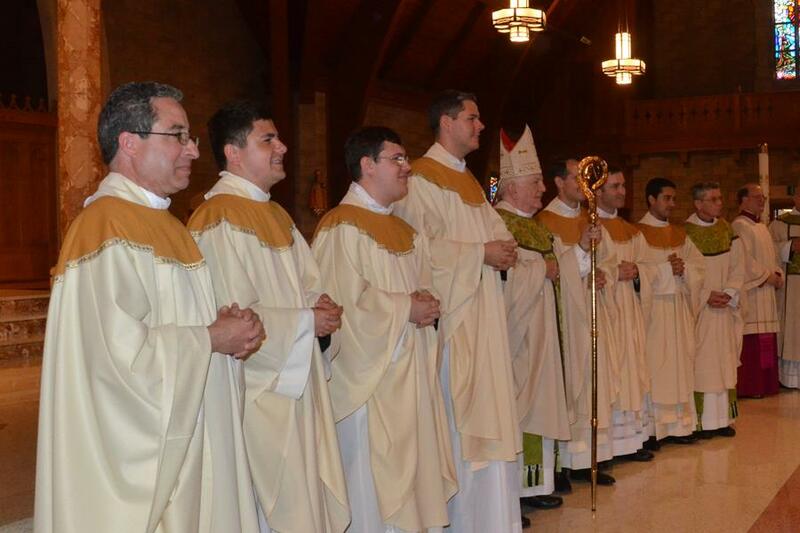 Indeed, priests are established co-workers of the Order of Bishops, with whom they are joined in the priestly office and with whom they are called to the service of the people of God. Those recent college graduates with educational debt need to pay off their debts prior to following their vocation as a priest, brother, nun or sister. No one is allowed to carry debt into religious life. Morally and economically religious orders can’t assume the educational debt of new recruits. They can help, but it is unfair for them shoulder the entire financial burden given finances today. Some orders, depending on the size of the loan will pay the student loans off over time as the new recruit progresses in the order. But there are ways to work through the financial burden without getting despondent. Here is Jenn Garza’s story. Jenn wants to be a Norbertine nun of the Bethlehem Priory of Saint Joseph but needs help in paying off $53,000. Read this website about the Litany Run: 26.2 to the Monastery, and how to help as part of your lenten almsgiving. Living in debt to a bank, government or a family member is not a good thing at all, even if you are not entering religious life or priesthood. But it is unavoidable today. Modest income people can’t afford huge tuition bills but at the same time our students deserve the best education. So the tensions for Christians is that they ought not to carry large amounts debt, educational or personal for very long. If anything, Christians ought to save a percentage of money for a “rainy day” (like unemployment) and make a sensible donations to worthy causes.